A leaking sewer pipe is a disaster, but it’s a much worse disaster if plumbers misdiagnose the source of the leak. And believe us, as surprising as it sounds, that does happen very often in Tujunga. If you have noticed your drains clogging more than often, and you don’t want to be stuck with expensive repairs and remodeling, then it's best to call an experienced and professional sewer repair company. Rapid Plumbing has been repairing sewer pipes for over 20 years. We come equipped with the latest sewer repair technology to give your pipes the attention they deserve. When the number on the water bill starts spiking up without any apparent reason, there is a good reason to believe that sewer pipe is leaking somewhere. This is usually the most telling sign of a malfunctioning sewer pipe. 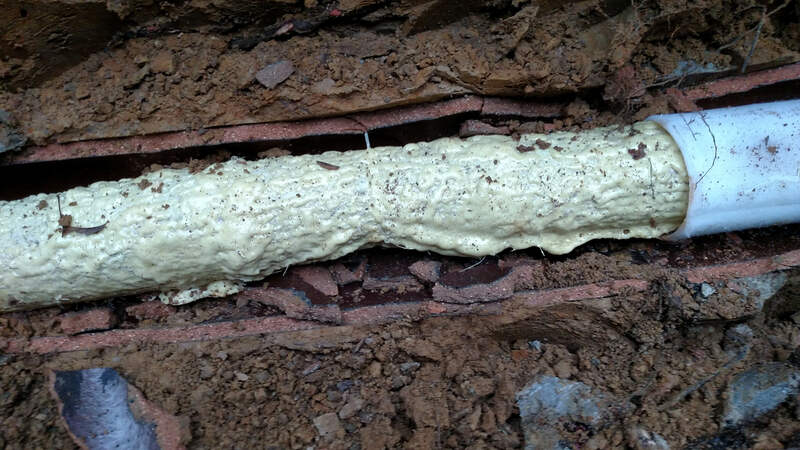 Over time, sewer pipes get blocked with hair, junk, grease, and even tree roots. Rather than buying drain repair solutions every other week, it’s best to get that sewer pipe checked and repaired. If water is leaking somewhere in those sewer pipes, you would damp walls. Over time, this could ruin the condition of your walls. A funky smell emanating from the sewer pipes is a sign that mildew and fungus is growing inside the sewer pipes. If you have noticed that the water flow in the taps has decreased, it could be because of a leak or a blocked pipe. It’s time-consuming and even dangerous to go looking for a leak without the proper equipment. Rapid Plumbing offers state-of-the-art sewer inspection cameras. These cameras are inserted into sewer pipes and through live monitoring; our plumbers are able to detect the problem source. For extra measure, we conduct complete sewer camera inspection to eliminate the possibility of another sewer problem. The camera recordings help our plumbers do all the repair work keeping in consideration the condition of the sewer pipes. We offer a non-invasive sewer pipe repair solution to our customers in Tujunga. Other repair companies may advise you to tear down your driveway. We understand that this may not be a possibility, especially when you think of the refurbishing costs. Modern sewer repair techniques have helped homeowners repair their sewers without disrupting their entire home. Without digging a single trench, we can repair your sewer pipes through just one access point.